Home > Uncategorized > How to combat the stains caused by tobacco? 20 Mar How to combat the stains caused by tobacco? Many smokers suffer the consequences of tobacco on their teeth, affecting their oral health. Tobacco affects health in general, but the incidence it causes on teeth is obvious, especially in people who have smoked for many years. When smoking nicotine and tar, they come in direct contact with the teeth, which causes stains and discoloration in the visible part of the teeth. Stains on yellow and brown teeth that cause tobacco use spread over time and are not easy to remove. But it’s not just about spots, the negative impact on the gums is important too. 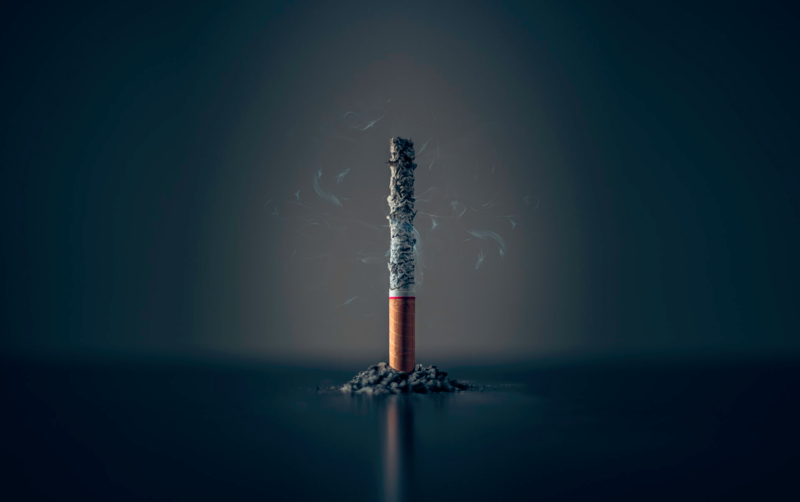 The gingival tissue can be affected since tobacco hinders the blood supply and results in a vasoconstrictor effect, this leaves the person predisposed to suffer periodontitis. Decreased blood flow also causes some simple wounds in the mouth not to heal normally, which predisposes the patient to infections. The oral mucosa is altered by tobacco, also the bacterial plaque, which favors the appearance of lesions and ulcers. One of the lesions of the oral mucosa is leukoplakia or pre-cancer, these lesions can be detected in periodic check-ups, which is why it is so important that smoking patients make frequent revisions to try to prevent or quickly detect any type of anomaly caused by the tobacco. To eliminate tobacco stains, different treatments can be applied, depending on the state in which the dental pieces are to be restored. The dental aesthetic treatments recommended are dental cleaning and periodic check-ups, and in cases of advanced stages of color changes and stains on the dental veneers. Dental cleaning: a person who smokes should be aware of the negative effect on their health, especially in the oral area, therefore reviews should be made where frequent dental cleaning is included. This frequency should be suggested by the professional since each case is different and the predisposition to contract different associated pathologies is special for each patient. Thus, it is tried to maintain the controlled effects of tobacco, cleaning and maintaining the teeth, eliminating tartar and bacterial plaque. Dental veneers: are the best solution in advanced cases in which the patient has teeth stained by snuff and no other treatment is effective.